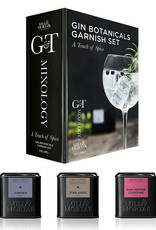 In this gift box, you get 3 beautiful spices full of aroma and essential oils that will elevate your G&T to a new level of taste and appearance. 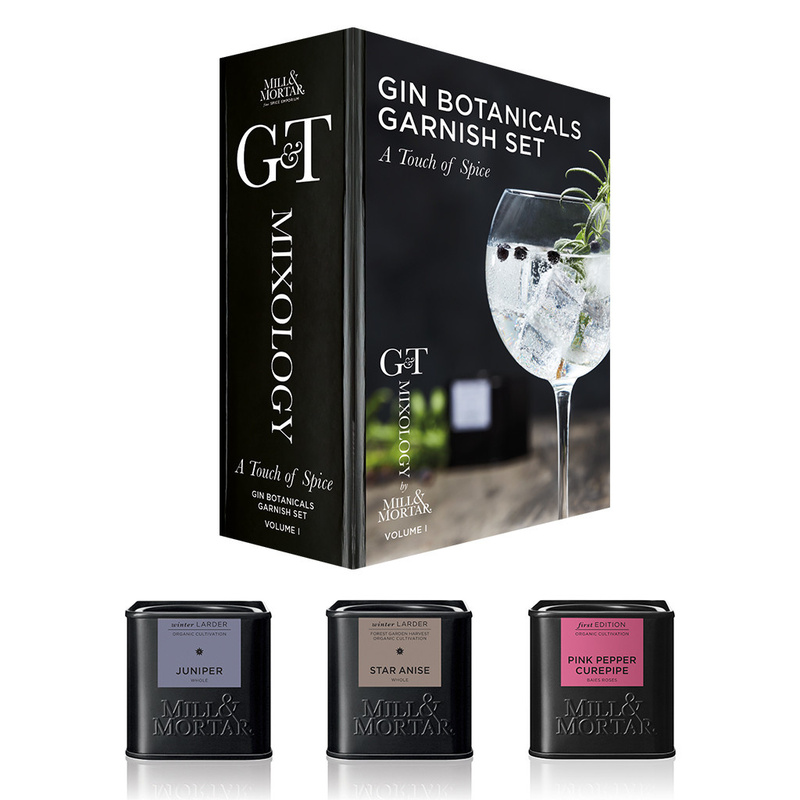 Designed to look like a book, this gift box also comes with great advice on the art of mixing a drink, also known as Mixology. On the cover, you can read the ways to use and combine different types of garnish / accessories, or get inspired by the delectable drinks’ images. Star Anise looks beautifully sculpted in the gin glass and lends a mild anise note. Use a whole star anise in each drink should be enough unless you want the flavour of anise to dominate. Combine with a slice of fresh citrus and a sprig of rosemary. The beautiful red, organic berries provide a beautiful floral aroma with light notes of pepper. Use 5-6 pink pepper berries in a drink. Can also be frozen inside ice cubes and served with juniper, a cucumber slice or citrus peel, a herb sprig or a sliver of fresh fruit.